Amococo is a large scale, inflatable sculpture constructed of translucent vinyl and made up of labyrinthine tunnels and inspiring spacious domes. A sensual world of liquid light and color, it is a multi-sensory space that welcomes, inspires and affects everyone who enters. Admission to the tunnel is $5.00 and it is wheelchair accessible. What is Artsplosure? Their mission is to produce high quality annual festivals that celebrate excellence in the performing and visual arts; to promote and bring recognition to national, regional, and local artists; and to bring artists and the larger community together to improve the quality of life and cultural environment. Posted on May 5, 2011 . 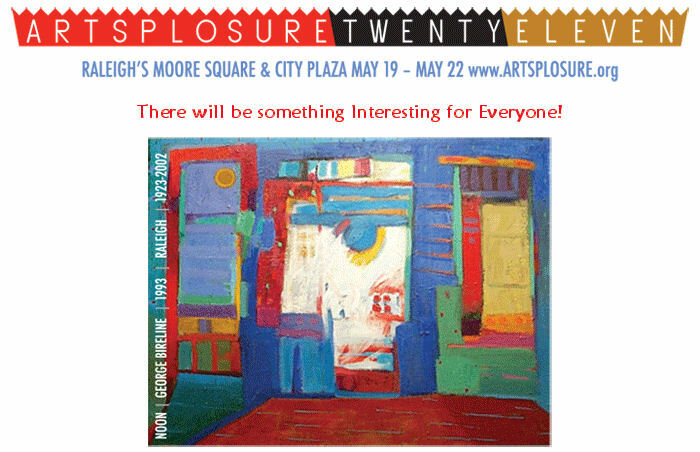 This entry was posted in For everyone and tagged art, artsplosure, Raleigh. Bookmark this article.